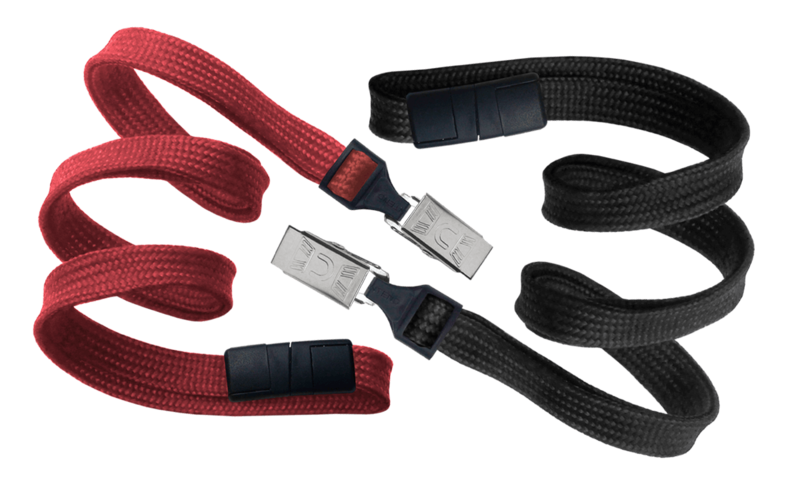 Made of polypropylene, these lanyards offer the classic lanyard look and feel thanks to their flat braided design. A safety breakaway tab is included. The bulldog clip is made of nickel-plated steel, meaning it will stand up to frequent use. This lanyard is perfect for carrying and displaying a slotted ID card or an ID badge holder. These are great badge holders for schools, conventions and more.